This post is number seven in a series during the month of December 2016, where we are reflecting on the things — issues, movements, and ideas — that give us a reason for existing here at Interference Archive. We wanted to take this time to think about what these critical elements and movements bring to us, and what we have to give to them. You can read parts one, two, three, four, five, and six as well. 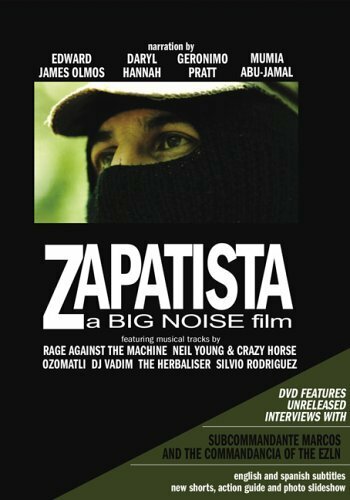 The Zapatista struggle of autonomy in southeastern Mexico is a contemporary social movement that has inspired cultural work in every medium. Interference Archive has a broad selection of magazines, books, newspapers, movies, posters, music, stickers, patches, banners, buttons, even handmade boots produced and inspired by them. Similarly to the Zapatistas, Interference Archive attempts to create an autonomous space where many struggles, ideologies, politics and movements can exist — “A world in which many worlds can exist.” We are also structured horizontally and are a counter institution to those interested in the commodification of our cultures. And, in the Zapatista spirit of “Para Todos, Todo”, we make our collection available to everyone interested in exploring it. 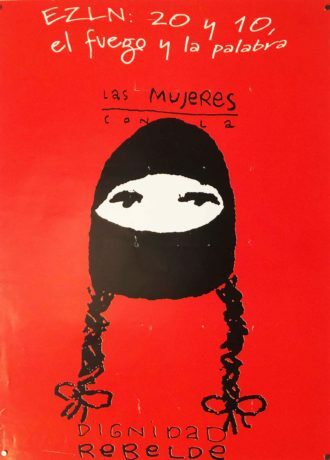 If it weren’t for the influence of the Zapatista struggle, I don’t know that I would have encountered the alter-globalization movement and anarchist community that led me to contribute to the creation of Interference Archive. 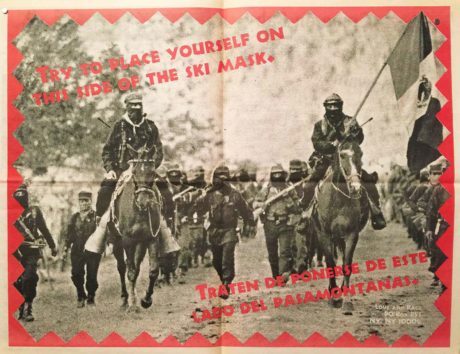 — Subcomandante Marcos “In our Dreams we Have seen Another World” EZLN communiqué, 2001. Kevin Caplicki. 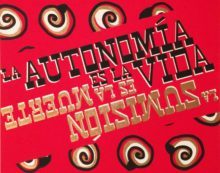 “Autonomia es la Vida”. 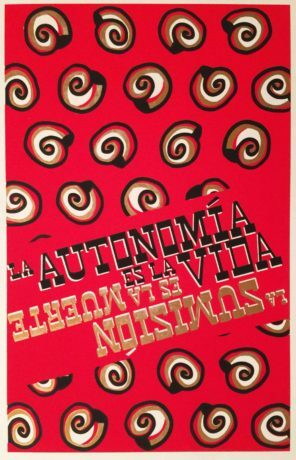 from La Autonomía es la Vida, la Sumisión es la Muerte (Autonomy is Life, Submission is Death) graphic art portfolio, produced by Convergencia Grafica MALLA, Justseeds Artists’ Cooperative and Escuela de Cultura Popular Mártires del 68 (EPCM-68). 2013.